After a 3 months streak of record-breaking months, plugins in December just kept on pushing forward, by registering over 180,000 units, making it the 4th record month in a row(! ), growing 70% YoY, with the 2018 sales ending north of the 1 million units mark. In one year. And to think that 2017 was the first year that plugins reached 1 million sales, GLOBALLY. Woah. With all this continued growth, and the recent decline of the mainstream market (-16% in December), the PEV share hit yet another all-time best, ending the month with 8% share, while the 2018 share ended at a record 4.2% share, double the share of 2017 (2.1%), with sales expected to continue growing fast throughout 2019, in a year we should be talking about 8% in 2019, and some 15% in December…Amazing isn’t it? Of this (small) cake, 2% belong to BMW, the Best-Selling foreign brand, 1% to Tesla and 1% to Nissan, with the remaining manufacturers sharing the final 2%. In December, the headlining news was the BAIC EU-Series becoming the Best Seller of the Month, with an amazing 12,561 units, being only the second model to surpass 10,000 units in one month in China, after its smaller sibling EC-Series having opened the gates last year. #1 – BAIC EU-Series: Beijing Auto’s electric sedan has been evolving throughout the years and now, thanks to a modern design and some solid specs (215 hp; 420 kms / 260 mi NEDC range; $32,500), it is finally making an impact on the Chinese plug-in market, having registered a record 12,561 units last month, almost as much as it sold during the whole 2017 year. It seems BAIC found a second Best Seller in its stable, question is how it will deal with it, will it give priority to the most expensive and profitable EU-Series over the EC-Series? 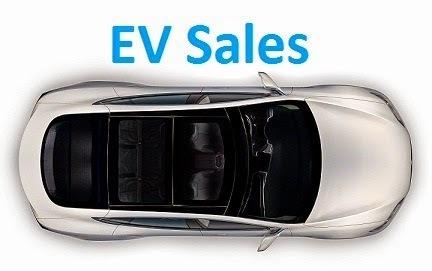 #2 – BAIC EC-Series: After the record 20,648 units of October, BAIC’s small EV returned has been dropping the number of registrations, with only 8,407 units being registered in the last month of the year, losing the #1 position in December to its sedan sibling EU-Series. Considering the EC-Series still has a waiting list, it seems the maker is prioritizing the sedan production over its smaller EV. The revised design and improved specs (new 30 kWh battery) will allow the EC-Series to remain a popular choice in the Chinese Mega-Cities, also helped by a competitive price ($25,000, before subsidies). #3 – BYD e5: BYD’s bread and butter electric sedan, continues to profit from the recent redesign, having registered a record 8,234 units in December, thanks to an attractive design (finally!) and strong specs (61 kWh, 405 kms / 252 mi range NEDC), for a competitive price (USD 32,500). Expect this model to continue shining in 2019, now that the Qin has become a more upscale model, leaving more space between both. #4 – BYD Yuan EV: We all knew that BYD’s new Baby Crossover was destined for success, and with a record 8,021 deliveries in December, BYD’s new baby is living up to expectations. Will the Yuan be the fiercest competitor in 2019 to the all-conquering BAIC EC-Series? With a thousands-long waiting list, demand is no problem, I guess it will depend more on BYD’s ability/willingness to make them in large volumes (The Tang/Song/Qin are more profitable…), than actual demand, sitting on a sparsely populated part of the market (small BEV crossovers), and with unrivalled specs (42 kWh battery, 305 kms/190 mi NEDC range, 174 hp motor), and price (25,000 USD), BYD might have found in this new model its star player, crowning what it is already a strong lineup. 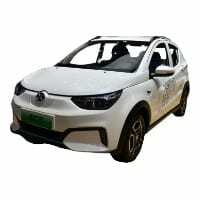 #5 – BAIC EX-Series: The third musketeer of BAIC’s latest generation of star players, the EX-Series Crossover registered a record 6,844 registrations in December. Sales should continue strong for BAIC’s model, possibly becoming the third model in the brand lineup to cross the 10,000 units/month mark. As for the EX Series specs, the battery has 62 kWh, originating an interesting 415 kms (259 mi) NEDC range, while on the power department, there’s a decent 215 hp to pull it, all for $41,000. Below the Top 10, there were also some significant changes in the ranking, with the BAIC EX-Series climbing to #11, while the SAIC Baojun E100 was up one spot, to #16, and the Dongfeng Junfeng Skio reached #18, thus jumping two positions. In such a fast-growing market, it has become the norm that models break their all-time highs all the time, as of this Top 20 ranking, 8 have beaten their personal best last month, 5 of them either belonging to BYD or BAIC. Outside the Top 20, there’s much to talk about, the BMW 530e ended the year as the Best-Selling Foreign model, with 13,493 units, while ending the year also as the Best Seller in the Premium Class. But in December the BMW model lost the month Premium Best Seller was the Nio ES8, that thanks to 3,318 deliveries (11,348 in 2018), it has beaten all the foreign competition. Will Nio be able to do the same during 2019? With the new ES6 midsize SUV said to start deliveries by mid-2019, the Chinese startup is making the best use of the short time it has to grow and win scale, so let’s wait and see. Looking at the manufacturers ranking, BYD (20%) was a comfortable winner, winning its 5th title in a row, while the runner-up BAIC (15%), is finally profiting from a stronger lineup, now that isn’t so dependent from one key player, which could give a chance to run head to head with BYD in 2019. In Third Place, the Shanghai-based Roewe (7%) managed to resist Chery (6%) retaining the same medal won in 2017. What are Sylphy's numbers for December? Thanks. Wow. 85k in the "others" group. Really diversified market. Also it seems the Chineese taste is evolving. ZhiDou giving way to BAIC EC last year and now BAIC EU and Yuan becoming more popular. There seems to be a move from A00 class to somewhat larger A class. Do you have any estimates on LSEVs? I know their numbers are hard to get but at one time they were selling by the million. I don't have LSEV data, sorry, but i know LSEVs continue to be sold in millions. Massive numbers! Tesla Model 3 will arrive in March. Has the BAIC EC-Series already reached/crossed the 200,000 milestone? What is the cumulative total sales number in China? What was the BEV/PHEV mix for the year? It seems the BEV share is increasing again. Do you have total 2018 China sales for Tesla Model S and X? Impresive numbers. Good for China! Also I would like to confirm with you if the BYD Qin is no longer the all-time best selling plug-in car in China. Unitl 2017 it was, with approaching 100K units, which means it should be now around 140K with the 47K sold in 2018. But, considering the BAIC EC series sold 78K in 2017, and now 90K in 2018, totaling over 168K now, it seems to be the new all-time best selling NEV car in China. Am I right? Hello Mario, The numbers include imports and a couple of LCVs. Regarding the BYD Qin vs BAIC EC-Series, it will depend if you include the BEV version on the Qin tally, if you do, the number rises from 158k units to 184k units, thus surpassing the 173k of the EC-Series. There are so many new BEV models entering the Chinese market, therefore I think that there will be more than 1 million BEV's sold in China in 2019.